Seeking for ideal dog equipment for dog shows? 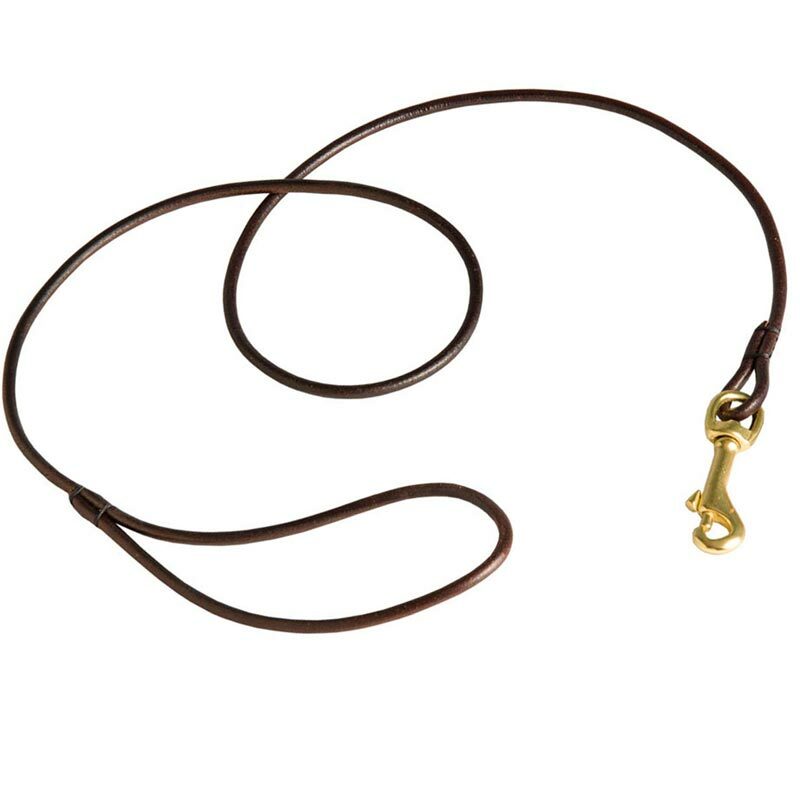 Famous web store offers a brand new Round Leather Dog Leash for those who value quality above any other feature! You think it is all...Hardly! This leash combines quality, reliability, comfort, pleasure, easy use and many many other characteristic in one product! Feel confident and proud for your Dog when he is on the ring as with this Ultra Thin Round Leather Dog Leash it is so easy. Manufactured specially for dog shows, this leash responds to all the requirements of the event. This product has decent look but it will not distract attention from your dog when he walks the ring. The item is very convenient for the handler. Unbelievable strength due to 100% full grain genuine leather and solid brass used for manufacturing snap hook. 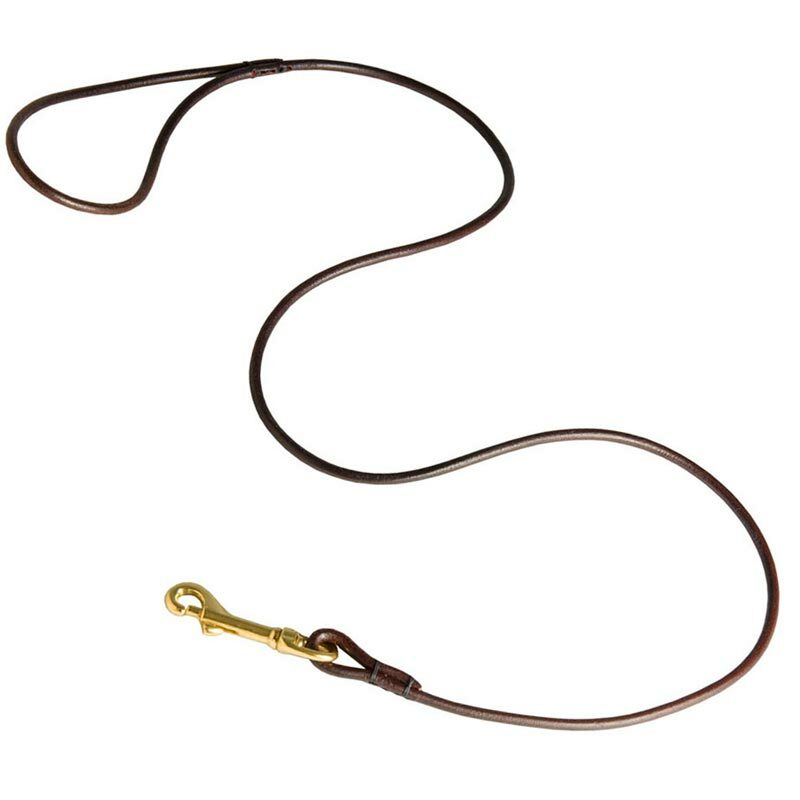 By the way, gold color of the snap hook suits this leash a lot! For better look of the leather material and for this leash to serve you and your dog longer, use leather conditioner and water repellent.